So it's farmers market shopping season. Which means instead of sad little shrink-wrapped radishes, you might be buying big, crunchy, juicy radishes still attached to their stems and leaves. You might be tempted to throw those greens in the compost, but you shouldn't because you can use them too, just like any other green. 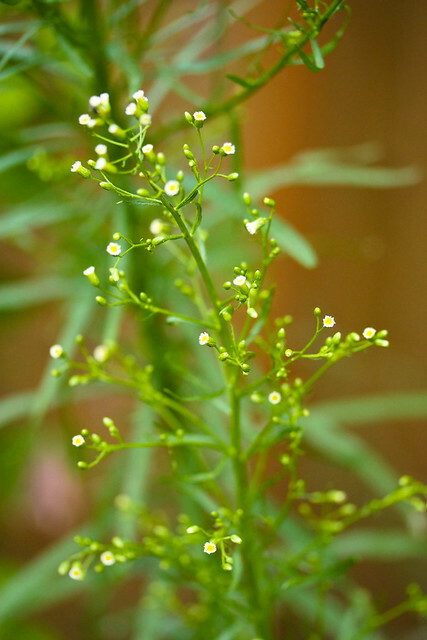 I've seen them made into pesto, roasted right along with the radish itself, and stir fried into a spicy side dish. But I often find that the easiest way to use up greens is to wilt them in oil and garlic and toss them with some pasta. In this post, I mentioned how I became addicted to warm marinated artichoke hearts, so I tossed some of those in as well. Add a sprinkling of Parmesan cheese and you have a meal ready in about as long as it takes to boil a pot of water. Rinse the radish greens in a colander under cold running water. Don't worry about drying them, since you'll be wilting them in a moment. Set aside. Drain the artichoke hearts, but don't rinse them. You want all of that delicious marinade to stay on them. Warm the oil in a large saute pan, then add the garlic and cook until fragrant, but not quite browned. Add the greens and the artichoke hearts, and stir to coat with the oil and garlic. Cook until the artichokes are warmed through and the greens are wilted. Drain the cooked pasta if you haven't already and add it to the pan with the greens. Toss the pasta in the greens mixture until well coated. Season with salt and pepper and serve with a grating of Parmesan cheese over the top. que rica ensalada de pasta. Saludos. This is my favorite style of pasta dish to make in the summer. 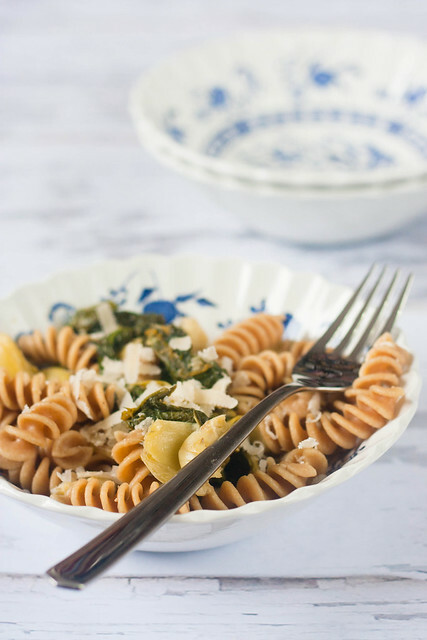 boil pasta, sauté greens, mix together, add whatever else you like. So when do we get to hit the parisian markets together? 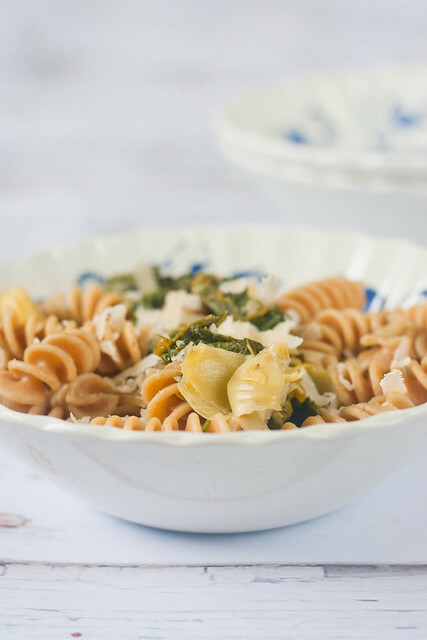 I simply love pasta so this dish is right up my street! Thanks for the recipe!